"Me Time" for me is usually circling around having a massage, doing a hair spa, nail art, facial, and everything about beauty related. But, sometimes it's quite hard to do because I don't know where the good place to spent my leisure time. 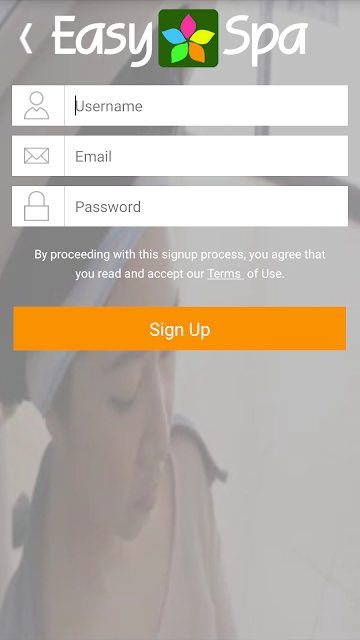 Well, EasySpa is the answer! This app provide a complete information about wellness and beauty service near you. All you need to do is sign up and you can book your favourite beauty service in minute. yay! 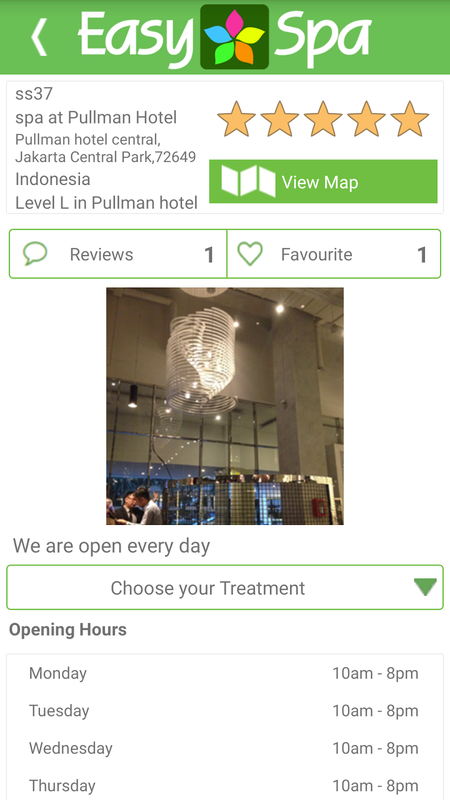 First launched in Singapore, EasySpa now is available worldwide and...Indonesia is also one of them! another yay! 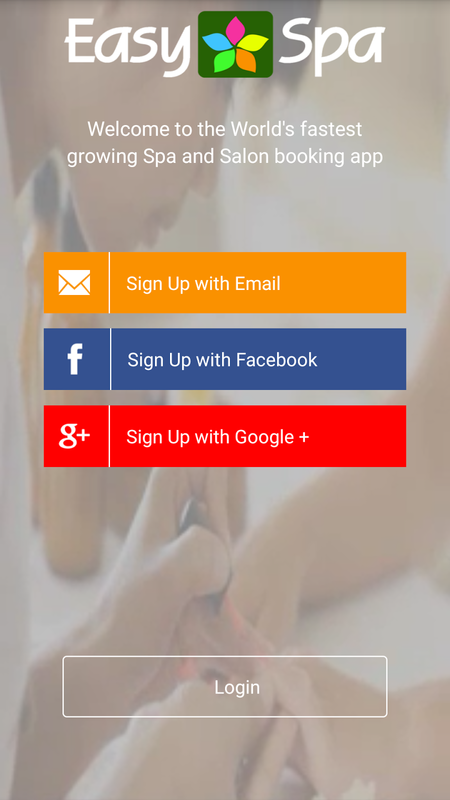 What is EasySpa? 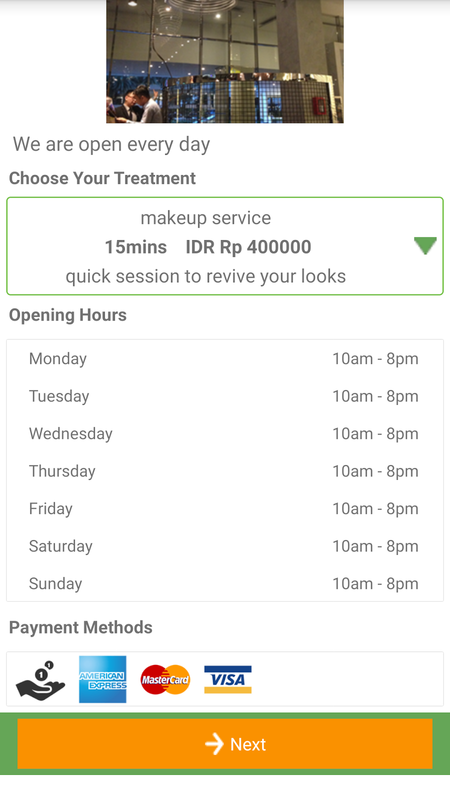 It is an app that help women to found and booked a beauty service with their smartphone. It is easy and free. All the informations are also very clear. With this app, customers can see the staff profiles, review, service treatments, pricing, map directions, opening hours, and proximity. 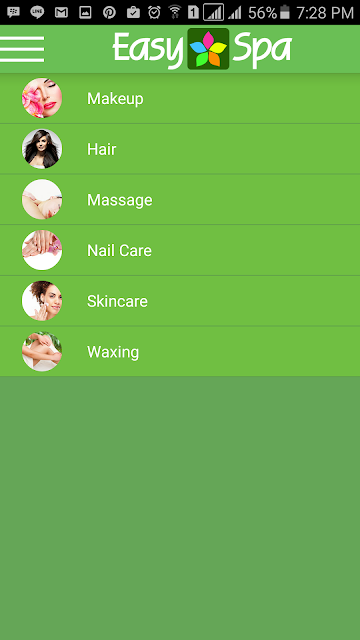 For the beautician/beauty parlour, this app help to increase customers. 1. When you open the app for the first time, you need to sign up first. the nearest beauty parlour to you. 6. 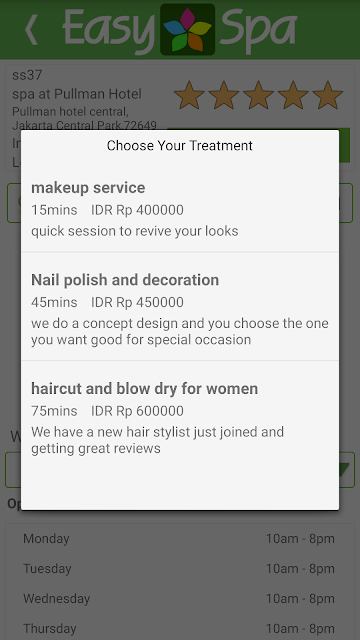 Then you can choose the treatments and what I love the most is, the information regarding the price is already available. So, you can compare the price before make your booking. 8. 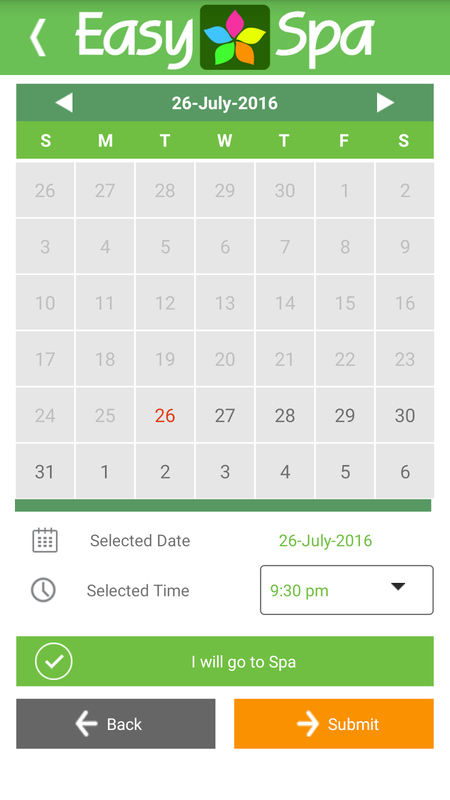 Then select the date and time for your appointment. 9. Upon finished your booking, your beautician will get notified with your booking data, after that you can contact your beautician directly.